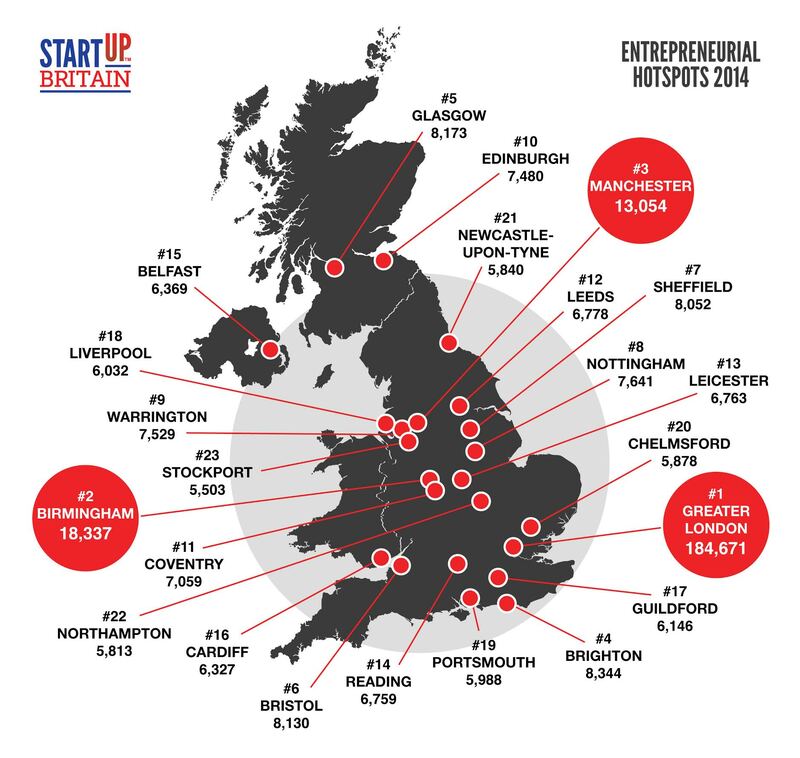 Startup Britain has released new stats about how many companies were started in the UK in 2014. They have analysed data from Companies House and produced an infographic. UK entrepreneurs created a record number of new businesses in 2014, according to new figures from StartUp Britain announced today/January 5. Research from the national enterprise campaign, run by the Centre for Entrepreneurs think tank, shows 581,173 businesses were registered with Companies House, beating the previous record of 526,446 businesses recorded in 2013, and 484,224 in 2012. The StartUp Britain campaign is backed by Government but operates as a fully private sector supported venture. It was founded by eight individuals and business owners in 2011 and is run by the Centre for Entrepreneurs, the entrepreneurs’ think tank. Its role is to inspire, accelerate and celebrate entrepreneurship. This entry was posted on Friday, June 12th, 2015 at 3:44 pm and is filed under Analysis, Startups. You can follow any responses to this entry through the RSS 2.0 feed. You can leave a response, or trackback from your own site.